Are you looking for a concrete contractor in the Los Angeles area with a solid track record and reliable services? Don't look further. We are your best choice for any kind of concrete works in your property. For years, we have been providing professional concrete services to residential and commercial clients in Los Angeles, Santa Monica, Torrance, and surrounding areas. Let us also handle all your concrete and masonry needs by contacting us today. Experience. At West Coast Concrete Services, you can rely on our lengthy experience in the construction and home improvement industry. Our work experience is not only limited to residential projects, but we also have a long list of completed projects in commercial properties in Los Angeles and nearby cities. Licensed. As a property owner, you only want a licensed and insured concrete contractor to work on your property. A legitimate company can guarantee work quality and even provide compensation if there are damages caused to your property. And at West Coast Concrete Services, we are licensed to work on all kinds of concrete and masonry projects. With us, you'll be hiring a contractor with logistics capabilities and resources, such as manpower, materials, and equipment. Affordable pricing. We provide competitive rates for our various concrete services. In fact, we are one of the few concrete contractors in the West Coast area who can offer affordable rates without compromising the quality of our services. We also offer flexible terms to accommodate our clients’ budget ranges. Professional. It is always our aim to provide clients with highly personalized services. All of our crews are professional and easy to work with. They will hear all your concerns and can even work beyond their comfort zones just to satisfy your needs and preferences. Flexible. Another quality that most of our clients like about us is our flexibility. Our people can work on any kind of concrete work in residential or commercial properties. You can hire us to work on driveway renovation or get our services to build new structures in your home or business establishment. Regardless of the complexity and scope of the tasks, you are always assured of quality workmanship and outstanding results. 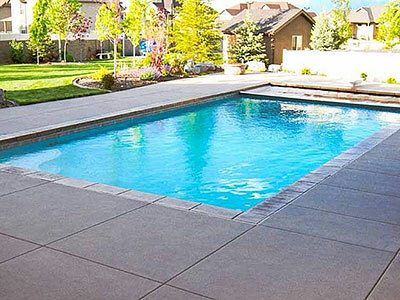 Hire the most trusted concrete contractor in the Los Angeles area by hiring West Coast Concrete Services today. With us, you'll be assured that the people working on your property are all experienced and properly trained in all types of concrete and masonry works. We are also equipped with appropriate tools and use only premium materials to ensure the durability and beauty of all concrete structures that we design and build. Call us today at 310-466-4456.